Breast cancer often seems to be in the news these days and many people know someone who has been touched by the disease. In the UK, over 11,000 people died from breast cancer in 2016. Around 55,000 people are diagnosed every year, making it the most common cancer in the UK. Since the early 1990s, breast cancer in women has increased by a staggering 25% (1). Our mission is to provide you with both insightful information and evidence-based content, all orientated towards the Personalised Health approach. In this article we take a look at new developments in research into breast cancer and the potential future of personalised treatment of this disease. Would it surprise you to learn there’s no such thing as breast cancer as a single disease entity? New research has concluded breast cancer is not one syndrome but as many as eleven separate diseases. Each one has its own causes, responds best to different treatments and has an individual risk of recurring after conventional treatment. It’s all down to differences in genetics, and these variations mean tumours respond in certain ways. In a study published in the journal ‘Nature’ (2), scientists looked for genetic mutations within the breast cancer tumours of almost 2000 women. Cancer is comprised of normal body cells carrying mutations in their DNA leading them to grow uncontrollably. The researchers hoped by establishing the molecular wiring of a tumour, they could find out what makes it tick – and how to prevent its reoccurrence. The results allowed the researchers to formulate a new way of classifying breast cancer tumours. They now intend to follow the women over the next twenty years to establish the likelihood of their cancers returning. On the cards is also a further study involving a much larger group of women. Once specific weaknesses within a tumour can be identified, doctors can target these weak spots with precise drug therapies. Knowledge about the individual genetics of a tumour can also be used to determine how closely patients should be monitored after their cancer has gone into remission. The knowledge that all breast cancers are not the same is not new. 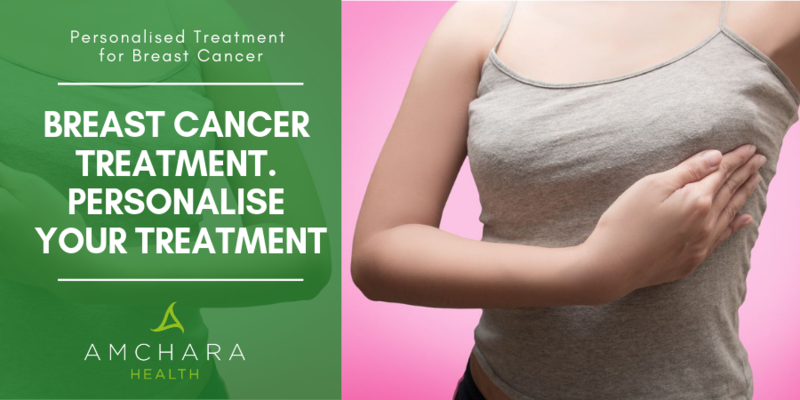 Breast cancer is currently classified according to whether its cells possess receptors for oestrogen. Oestrogen-receptive cancers are usually treated with drugs aimed at blocking the activity of oestrogen, such as Herceptin. Some women respond better than others to these drugs, and it’s now thought different genetic mutations within the tumour influence which drugs are effective and which are not. Other tumours may have receptors for a substance called Her2 protein. This is a substance which is ordinarily produced by cells and causes them to grow. In the case of cancer, excess Her2 protein is produced, and the cells grow in an uncontrolled manner. The study authors found four additional subgroups of breast cancer which are fuelled by oestrogen, and which tended to recur, sometimes many years after the original treatment. Triple negative breast cancers are those which don’t have receptors for hormones such as oestrogen and progesterone, or for Her2 protein. Some women with this type of cancer have a mutation in a particular gene known as BRCA1. They’re among the most difficult types of breast cancers to treat. Researchers in the study above found they were actually two distinct types of cancer. A clinical trial is already underway involving over 4,500 women to analyse the genetic basis of these types of tumours (3). Scientists also classify breast cancer according to whether it is invasive, in other words whether the cancer cells have grown into the surrounding breast tissue. Other types include inflammatory breast cancer, where cancer cells block tiny lymph ducts in the breast, and angiosarcomas, which start in blood or lymph vessel walls. Historically, cancers have been classified and named according to where they occur in the body, and it was assumed they shared characteristics with each other. Traditionally, most sufferers with a cancer in a specific place and at a specific stage received the same treatment. It was always recognised certain treatments worked better for some people than others, however we now know the key to this is not only our unique genetic makeup, but the genetic makeup of the tumour. It now appears tumours in different areas may share similarities in genetics, meaning they may be more similar than previously suspected and may even respond to the same treatment. It’s highly likely it’s not only breast cancer which has these very different mutations, which opens the door to personalised therapies for other types of cancer. This study indicates that the future of medicine may become more personalised and emphasises the importance of treatment being individualised to the causes of the cancer. Orthodox medicine already has a name for this - precision medicine. Looking at the genetic make-up of both cancer cells and normal cells could help the formulation of customised treatments according to individual patients’ needs. Precision medicine for breast cancer is already being used in some areas, and its use is expected to increase in a move away from a ‘one size fits all’ cancer treatment. In California, the Centre for Personalised Cancer Therapy delivers cancer treatment based on the belief that no two cancers are alike, just as no two people are alike. The centre found in trials one third of cancers reduced in size when drug therapy was matched with a tumour’s weakness, as opposed to only 5% when it was not. This is obviously great news for patients, and experts believe this approach may lead to 60% less chemotherapy drugs being used in the future. Chemotherapy not only kills cancer cells but also healthy tissue, so less chemo means fewer side effects. The 100,000 Genomes Project, launched in 2012, has already sequenced 100,000 genomes from 85,000 patients suffering from rare diseases and cancer. The aim of the research is to use genetic information to predict a patient’s response to a treatment or to find one which will work best for them. If this sounds ground-breaking, it is actually central to the functional medicine approach of personalised health. The patient lies at the heart of functional medicine, which looks at diet and lifestyle, as well as the underlying causes of ill-health - something which has traditionally been largely overlooked in the orthodox medicine approach. Amchara champions the concept of personalised health, at the centre of which is you as an individual. You are the sum total of both your life experiences and genetics, and this means the journey towards optimal health for each of us is as unique as our fingerprints. A consultation with an Amchara practitioner will always take your individuality into account when helping you plan your unique health journey. We believe sharing knowledge and experience is an important part of achieving optimal health and would love to hear your views and experiences.